Lone Star Toyota of Lewisville Railroad Park visitors can now check status on the Skate Park and Dog Parks by calling 972.219.5077. This information will be updated as conditions warrant, and should prove to be a convenient way to check for availability of the park before going there. Opened in October 2009, Lone Star Toyota of Lewisville Railroad Park was developed in one phase and is the largest single capital project in the history of Lewisville. The sprawling park features sixteen sports fields, a dog park, a skate park, three lakes for irrigation, and a 1 1/2 mile perimeter walking/jogging trail designed to connect to the regional Trinity Trail. 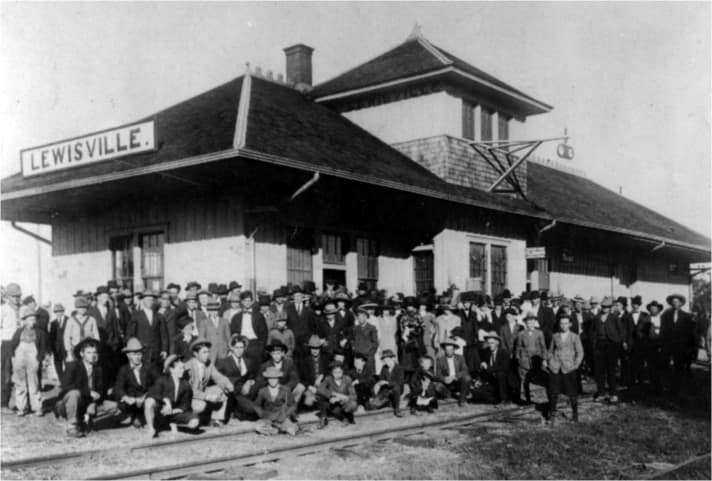 The original Katy Train Depot once stood one mile north of the park and its railroad track just west of the park now serves the Denton County Transportation Authority’s A-Train. The theme of the park embodies the deep tradition of the local rail service, which is emphasized in the structures that parallel the design of the original Katy Depot. Boxcars placed near the main park continue to play a key role in the life of the surrounding community just as the Katy Depot and rail service did years ago. Four ball diamonds will allow a variety of play and tournaments to be held in Lewisville. The Premier Field will be dedicated to baseball and championship play with a grassed infield. The seating area is designed to replicate a nostalgic bandshell stadium effect. The other three fields will have skinned infields allowing flexibility to convert between baseball and softball of various age groups. Temporary outfield fencing will be utilized to vary the outfield distances conducive to the age groups. Seating areas are covered for spectator comfort. Scoreboards are located for all four fields to provide game information for all participants. The football complex includes four fields, two 100-yard regulation fields and two 80-yard fields for younger ages and flag football. Each field has covered bleachers and scoreboards for spectators and participants. 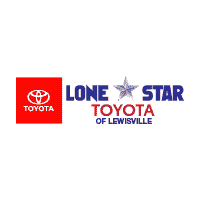 Lone Star Toyota of Lewisville Railroad Park will become the home site of the Lewisville Football Association and Flag FootballX adult leagues. Eight soccer fields have been constructed at Lone Star Toyota of Lewisville Railroad Park (two 100-yard youth fields and six 120 yard regulation fields). Three man-made lakes are within the park. These lakes will provide a system for flood control and will be the irrigation source for the athletic fields, dog park, and turf areas. No treated water will be used for irrigation. All drainage and runoff is designed to flow back into the lake system. Rights have been obtained to pump water from the Trinity River to maintain a constant level in the event of a dry season or drought conditions. Liquid fertilization will be injected into the irrigation system, saving costs by providing a more accurate application and preventing waste. Texas Parks & Wildlife will be stocking the main lake with fish native to this region. Potential programming will include fishing clinics and small watercraft classes for kayak & canoe. A perimeter trail encompasses Lone Star Toyota of Lewisville Railroad Park. Participants are encouraged to jog or walk around the park on the 1.5-mile track. The trail was designed to connect to the area-wide Trinity Trail System, once developed. Upon completion, the Trinity Trail will stretch from Dallas to Denton. On the northwest side of the property, a wetlands area will remain in natural form to provide a protected area for migrating & nesting birds and native wildlife. Participant safety is of the utmost concern. All spectator seating areas in all aspects of the park are shaded to provide protection from the heat and UV rays. Lightning detection systems and emergency warning sirens are installed to notify patrons of impending weather and allow a safe exit. Four restrooms are placed in strategic areas. Three full-service concessions and one vending area are provided for refreshments. Near the dog park entrances are transition areas to provide leashing/unleashing, waste disposal, wash stations and drinking & watering fountains. The Musco Green Lighting System was installed. This system has the latest innovations for energy efficiency and spill & glare control features allow for a more constant light level without adding additional fixtures. The lighting system will be computer controlled and will only allow lights to be on when activities are scheduled.